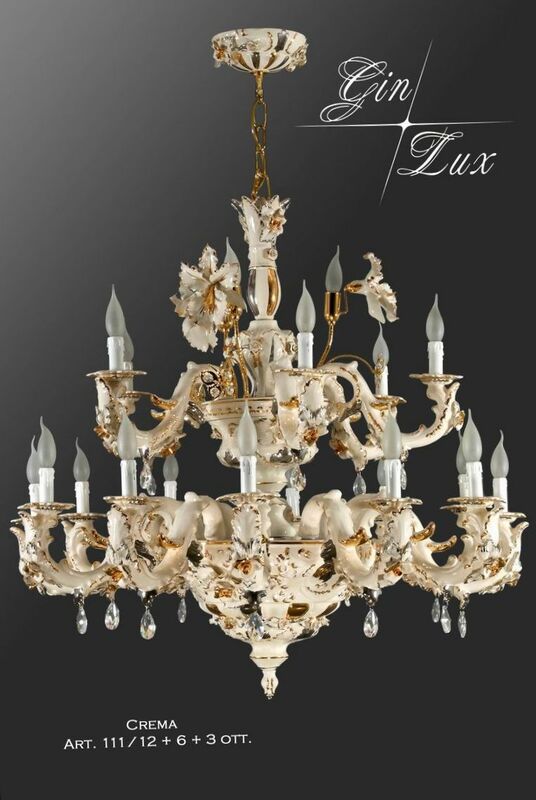 This chandelier is only one exemple of our vast production. In particolar this pice have the elegante and prestigiate finiture with a crem color, gold 24k and paltinum with the otton brass and swaroski. 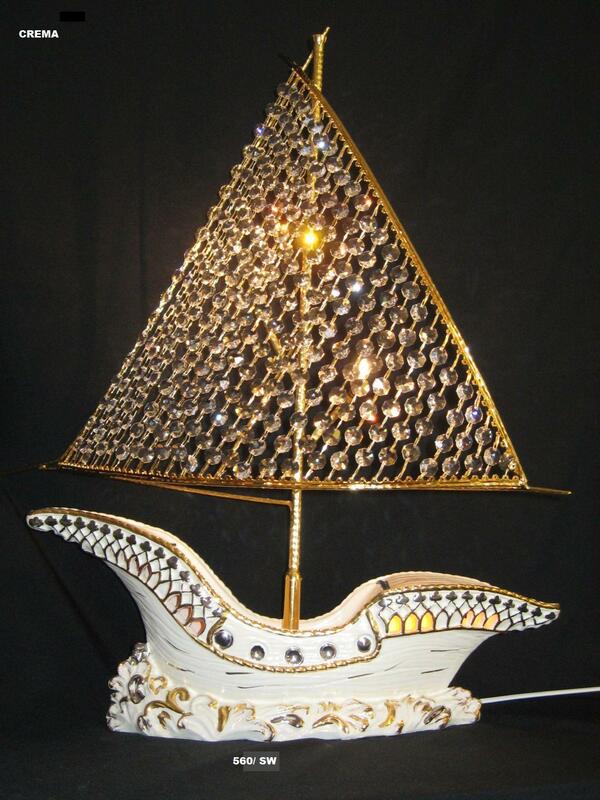 This is another product icon of our firm cut out in its small detail enriced with sail in brass and swaroski with external and inside elletric fitting that allow to shine through from the small windows entierely carved to hand.